Home Showbiz Are Iqra & Yasir “More than Just Friends”? Are Iqra & Yasir “More than Just Friends”? After many days of beating about the bush and leaving the fans confused, is the riddle finally solved? 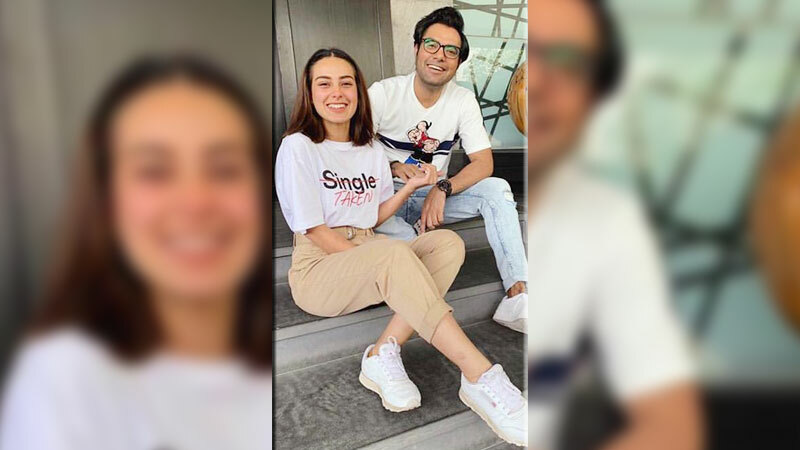 We wonder as actors Iqra Aziz and Yasir Hussain drop another hint. Even though there is enough evidence over the Internet of their courtship but the fans are waiting for an exclusive announcement perhaps? Yasir Hussain is also seen posting a lot of pictures with Aziz. The two post couple selfies with many controversial captions. One picture’s caption read, “Hussain and Aziz getting a bit too close. We wonder if it’s just friendship or more,” leaving little room for imagination. Of course, the young couple enjoys the attention or simply likes pulling people’s legs by posting couple pictures and way-too-obvious captions. Giving people a chance to say what they want to say. The couple seems least bothered about ‘loge kya kahenge’, which is why the hint-dropping-drama on social media continues. The couple has been pretty open about their friendship but does Aziz’s shirt explain that it’s more than friendship now? Both of them have played brilliant roles in drama serials. Hussain has also been a part of films, yet the couple is just getting started. Could this be the big hint? How to Get G Suite at the Best Rates?